Unique anthology celebrating British women writers from a Muslim heritage. Writers include literary heavyweights such as Adhaf Soueif, Leila Aboulela and Kamila Shamsie, as well as young emerging art-ists leading the way on the UK's spoken word scene. Extensive PR campaign planned for publication. 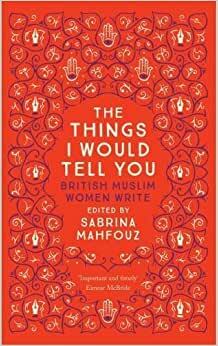 Start reading The Things I Would Tell You: British Muslim Women Write on your Kindle in under a minute. Contributors include: Kamila Shamsie, Ahdaf Soueif, Fadia Faqir, Leila Aboulela, Hanan al-Shaykh, Selma Dabbagh, Chiméne Suleyman, Nafeesa Hamid, Imtiaz Dharker, Shazea Quraishi, Aisha Mirza, Azra Tabassum, Triska Hamid, Asma Elbadawi, Shaista Aziz, Azra Tabassum, Aliyah Hasinah Holder, Hibaq Osman, Muneera Williams, Shireen Mula. 5.0 out of 5 starsA thought provoking collection. Some made me laugh, or cry. Most made me think and broaden my understanding just a bit. I'm so glad my book club read this one. The beauty of this collection cannot be overstated. It is extraordinary work by extraordinary women with a common truth that expands into the universal. Stunning. Misleading title. This is not the first person narratives of British Muslim Women. It is mediocre tales written by British Muslim Women. Totally disappointed.